(April 1, 2019) - In Florida, half of the assignment of benefits lawsuits related to auto glass claims in 2018 were filed by just four firms, and among the firms by just six attorneys, according a new report. And about 85 percent of auto glass cases were filed by nine firms, which represented 12 attorneys, the Florida Justice Reform Institute wrote in its report, published March 27. These firms include Morgan & Morgan, Amorginos & Barrows, Malik Law, Emilio Stillo PA, Reeder & Nussbaum, Chris Ligori & Associates and Hale Hale Jacobson. Insurance lawsuits have increased since 2000 as a percentage of Florida's population, and so have assignment of benefits lawsuits in particular. 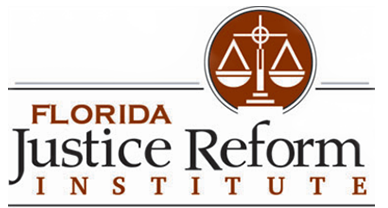 "Florida seems to be living up to its national reputation as one of the worst tort systems in the country, as litigation growth is much steeper than population growth," the Institute wrote. "Looking specifically at AOB, what used to amount to little more than a few one-hundredths of a percentage point as a fraction of Florida's population is now nearing a full three-quarters of a percent." The FJRI is led by William Large, a former malpractice defense lawyer primarily representing hospitals who was one of former Gov. Jeb Bush's chief counselors on that administration's efforts to rewrite Florida's medical malpractice laws. The Institute used Florida's Service of Process Database for the report, which includes lawsuits filed against insurance companies. Both chambers of the Florida state legislature are working on changes to assignment of benefits. The House Judiciary Committee passed a proposal (HB 7065) on a 14-3 vote on March 28, after its Insurance and Banking Subcommittee approved it 14-1 on March 19. It was co-sponsored by Rep. Bob Rommel and Rep. Michael A. Caruso, both Republicans. The House bill proposes rules for awarding attorneys' fees "in a suit related to an assignment agreement for post-loss claims arising under a residential or commercial property insurance policy" — depending on "the difference between the judgment obtained by the assignee and the presuit settlement offer." If that difference is less than a quarter of the disputed amount, the insurer can be awarded "reasonable" attorneys' fees. If that difference is at least a quarter but less than half of the disputed amount, neither party can receive attorneys' fees. If that difference is at least half of the disputed amount, the assignee can receive "reasonable" attorneys' fees. The Florida Senate is considering a different approach. The "prevailing party" could receive attorneys' fees and that party would be determined by the court depending on the issues, the amount of claims compared with the amount recovered, "the existence of setoffs and counterclaims, if any" and "the amounts offered by either party to resolve the issues prior to or during litigation," according to the bill text. A court "may determine" a case doesn't have a prevailing party. The Senate Judiciary Committee amended the bill (SB 122) to require assignment of benefits and other post-loss agreements be made in writing with specific details. The amended bill passed the committee on March 18 on a 5-1 vote after clearing the Banking and Insurance Committee March 4 by a 5-3 vote. It now awaits action by the full Senate. The bill would prohibit the right to receive payment for attorney fees when an insured person or beneficiary wins a case against an insurer.